Finding the right light fixture for a dining room can be tricky. It's always important to keep in mind where your new piece of luminous decor will be installed. Will it be hanging over a small round table, or a long rectangular one? What is the ceiling height in your dining room? Another not so fun, but practical consideration: Your budget. And last, but not least: What is your design style? Once you've answered these pesky questions, let the shopping begin! 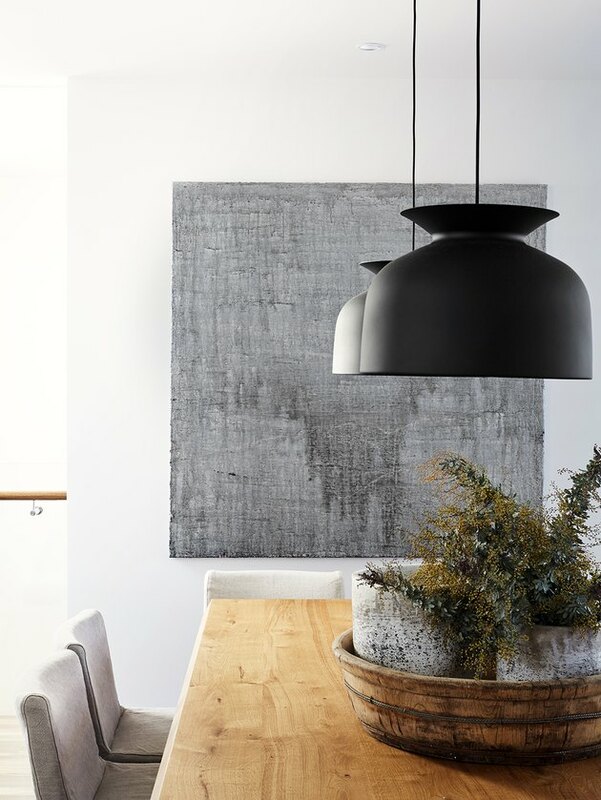 There are a plethora of radiant options to choose from, so to make your life easier we've selected 13 modern dining room ceiling lights that will leave your dinner guests complimenting more than just the cuisine. A modern spin-off of the classic industrial style factory and warehouse light fixture, this oversize metal pendant is a great option by itself, or paired in multiples. 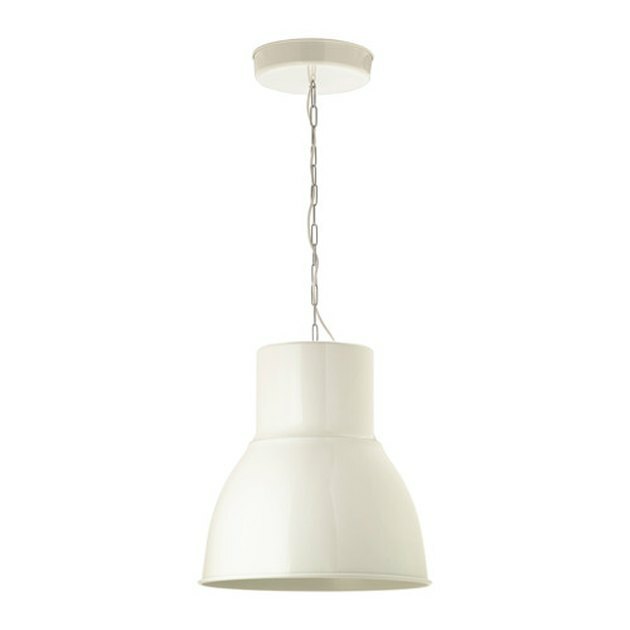 The contemporary white metal finish reflects oodles of downlight for you to enjoy every time you sit down for a bite to eat. Swooning over this bohemian goodness crafted by Indian artisans! 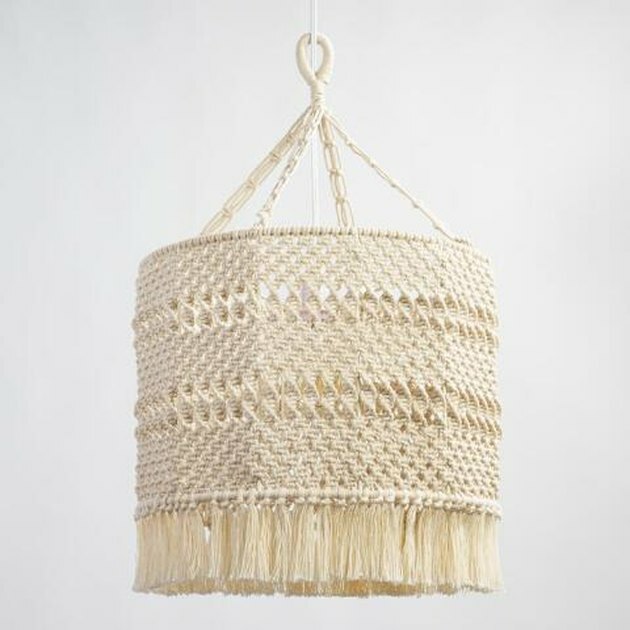 The pendant's intricate hand-woven detailing, right down to the tassel fringe, is giving us all the feels. Your dining room will thank you. Beach-chic has never looked so good. 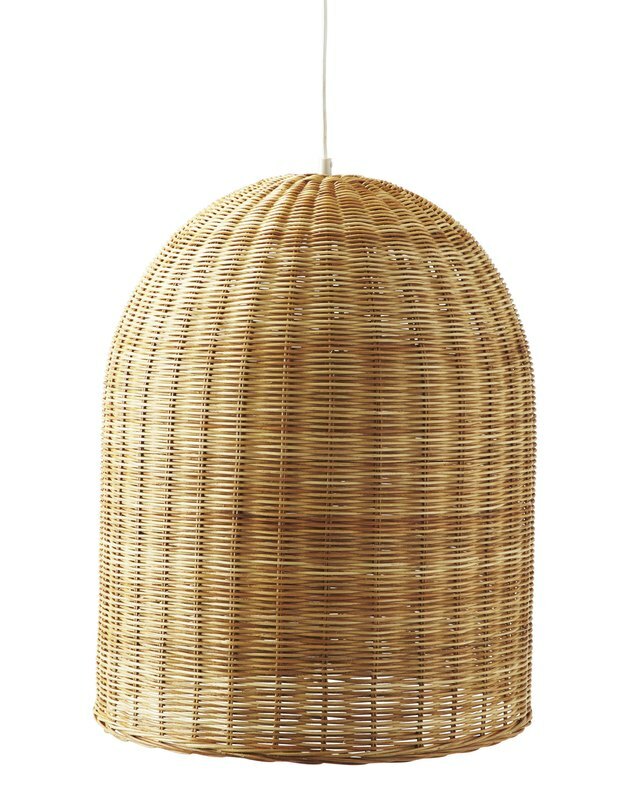 This woven rattan pendant radiates coastal charm worthy of a beachside retreat. The bell-shaped shade projects warm, lustrous downlight, while ambient light peaks through the net-like construction, creating a beautiful dance of shadow and light. 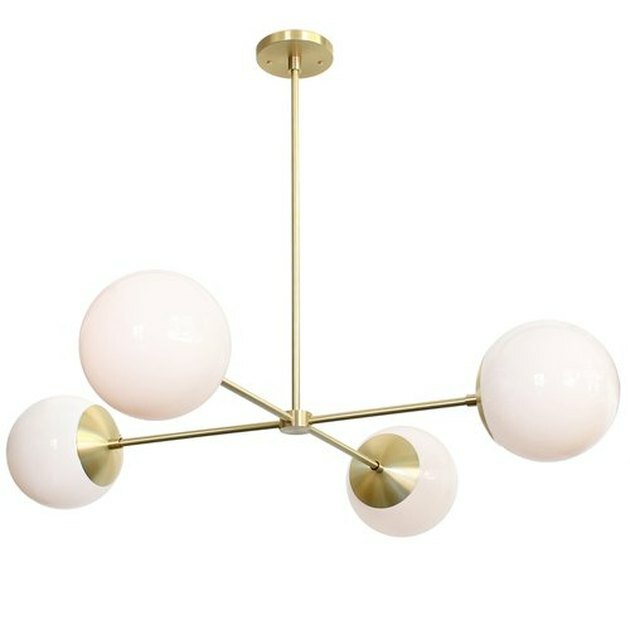 Available in three neutral colors, this fixture is a natural born star. In an ideal world, everything would be custom-made. 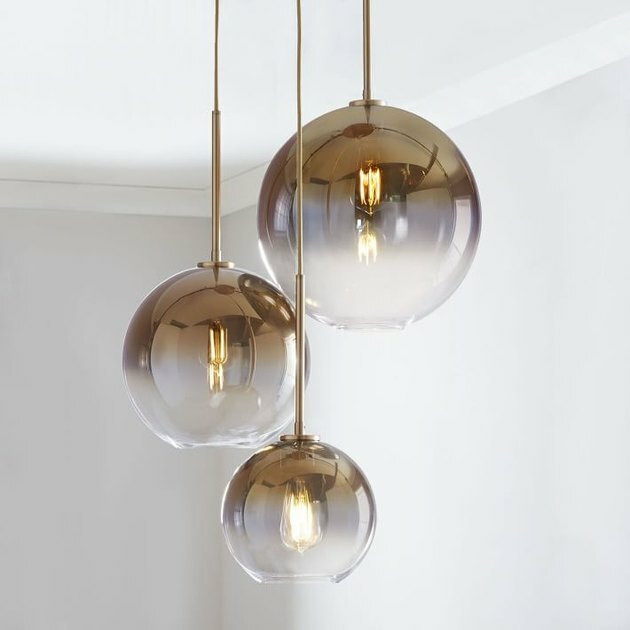 If you'd love a more tailor-made light fixture without the high price tag, this sculptural glass globe chandelier from West Elm is a resplendent option. It's available in a variety of finishes, styles, and sizes, not to mention the height is adjustable, giving you all the variation your heart desires. 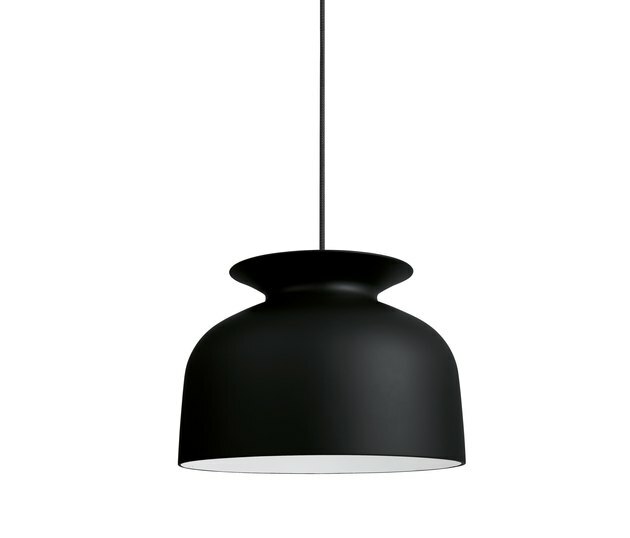 Designed by Danish architect and designer Louis Weisdorf, this aptly named pendant is a work of art. The innovative opposing shade construction enables this snazzy geometric fixture to provide uplight, downlight, or asymmetric ambient light. With Don Draper-approved elegance like this, you can't go wrong. 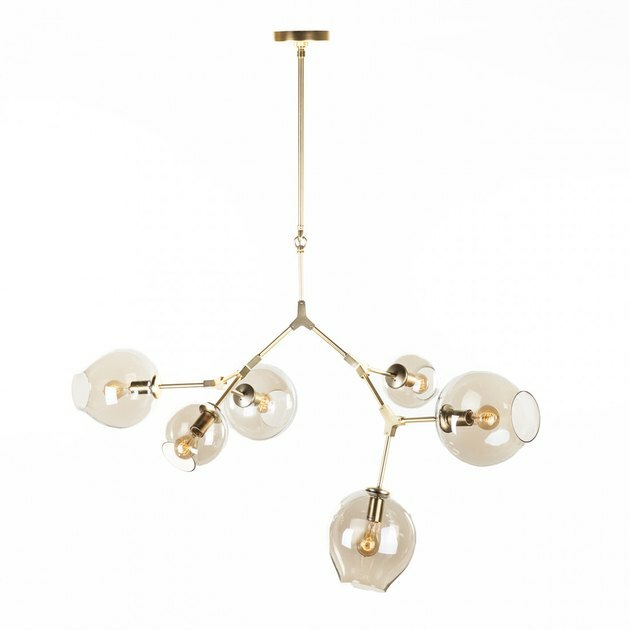 The midcentury modern design of this luxe four-light chandelier exudes style and grace. Complete with hand-blown opal glass shades and a solid brass frame, your Old Fashioned-filled cocktail hour will never be the same. "My aim is to design products with character that are timeless," explains Denmark-based designer Oliver Schick — and this modern piece of luminous decor is no exception. Inspired by light fixtures of the 1970s, it boasts a uniquely unexpected silhouette. The hand-spun aluminum craftsmanship and uniquely lacquered matte finish don't hurt either. 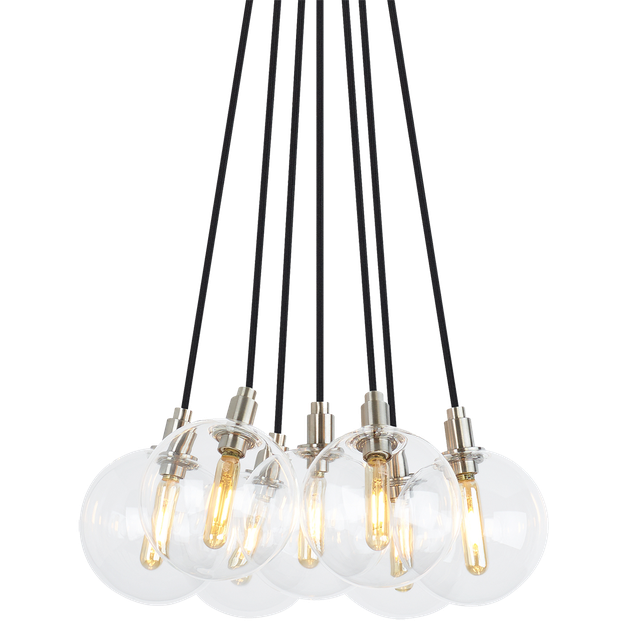 Available from Circa Lighting, this seven-light, exposed bulb chandelier is high on style. The gleaming LED vintage tubular lamps and satin nickel sockets suspended by black cloth cords exude an industrial sophistication that would make a stunning addition to even the most fabulous of dinner soirees. 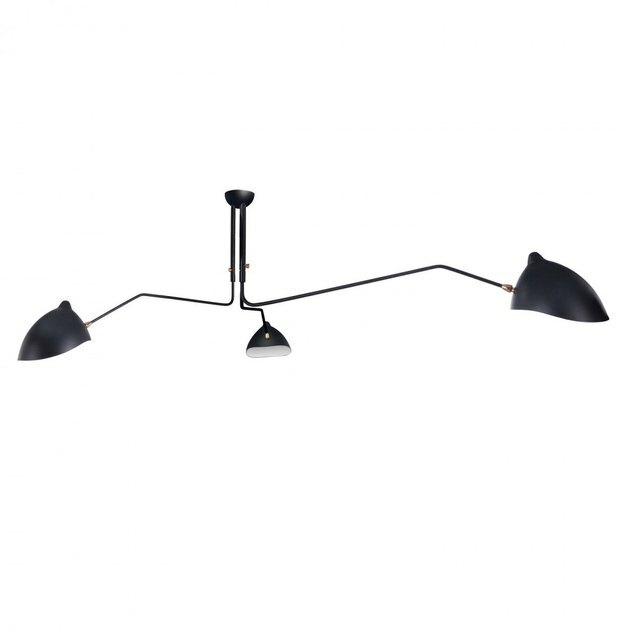 Modern design marries smart craftsmanship in this sleek ceiling lamp. 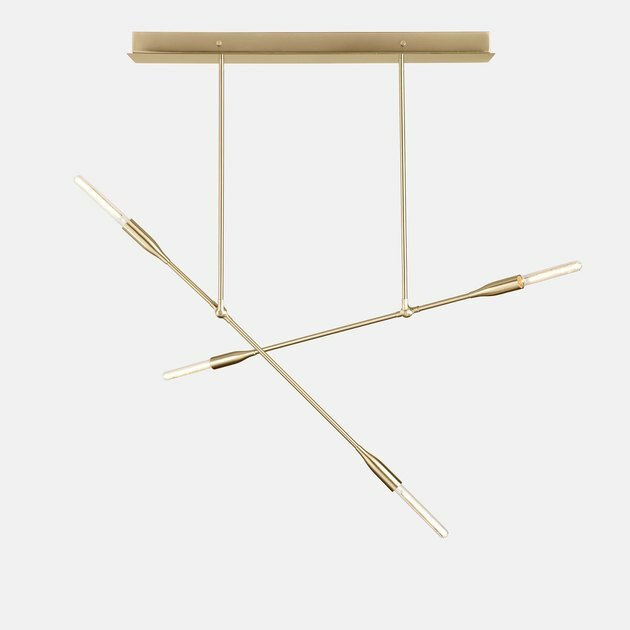 An avant-garde replica of Serge Mouille's iconic 1958 series, this fixture's dramatic adjustable arms and angular shades provide 360 degrees of flexibility — perfectly highlighting your carefully crafted tablescape. Simply sweet. Don't count this little guy out due to his modest size. Paired in multiples, this pendant makes quite the impact. 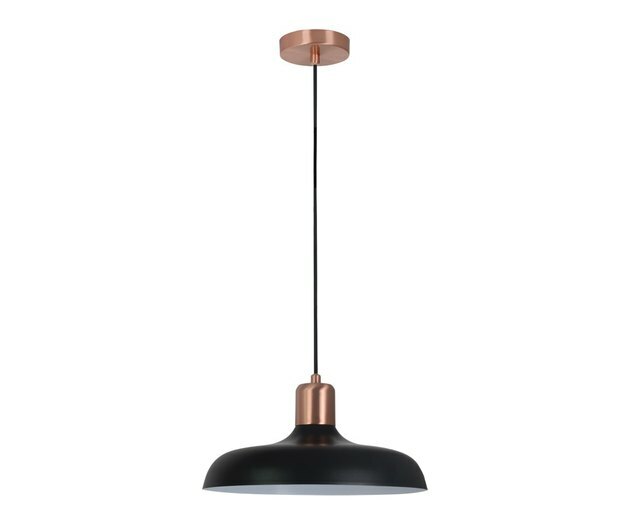 Full of character and sass, we love the modern combination of brushed copper and matte black on a classic, industrial silhouette. Abstract work of art, chandelier, or both? Reminiscent of a tree branch with budding flowers, this stylish light fixture knows how to bring the outdoors in. The unique contemporary design made up of tinted glass bubbles attached to adjustable metal branches is guaranteed to capture your dinner guests' undivided attention. Minimalist design lovers: You're welcome. Sculptural in form, this ultra-chic linear chandelier makes a strikingly bold statement. The delicate arms of the fixture, inspired by sea kelp branches, work together to tell a beautiful story of balance through light. 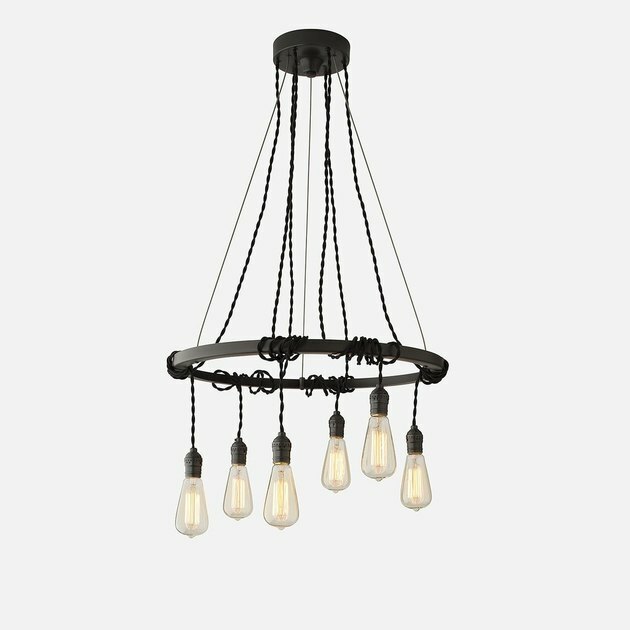 With a nod to the ghosts of industrial lighting's past, this charming chandelier is an unexpected rustic treat. 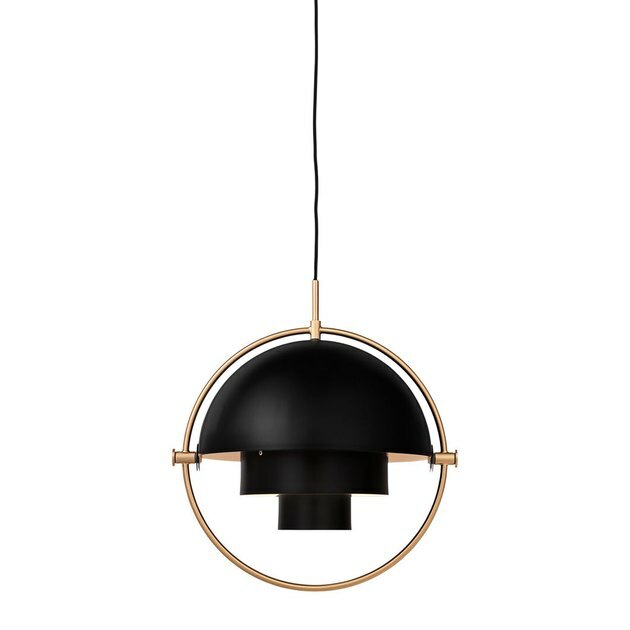 The exposed bulb pendants are seemingly wrapped haphazardly around a circular hand-welded brass frame. Inspired by the beauty of the night sky, this handsome gem is one shooting star you don't want to miss.